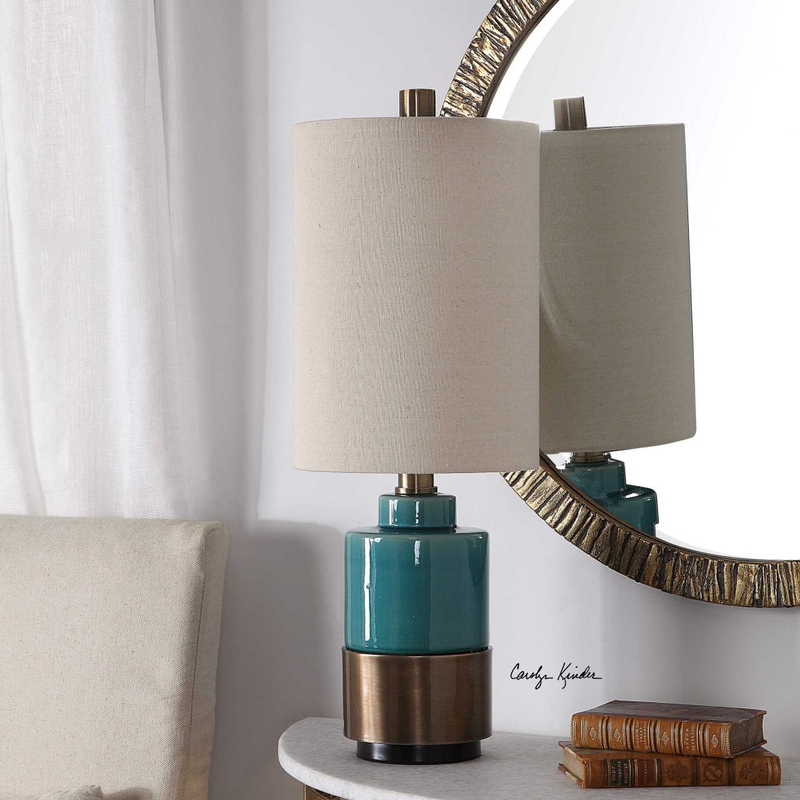 Add a bright pop of color to any space with this modern table lamp design that features a sleek ceramic column that’s finished in a bright turquoise glaze, displayed on a plated antique brass foot. A round hardback drum shade in light beige linen fabric with natural slubbing completes this fun design by Carolyn Kinder International. Available to trade professionals at Uttermost.com. For retail purchase Google search term “Carolyn Kinder Rema Turquoise Table Lamp”.